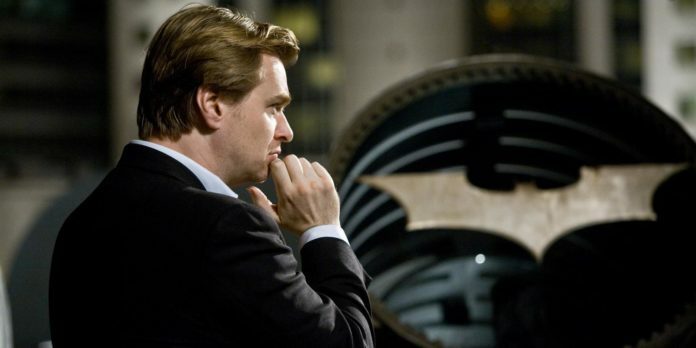 The director of THE DARK KNIGHT speaks to BOF! 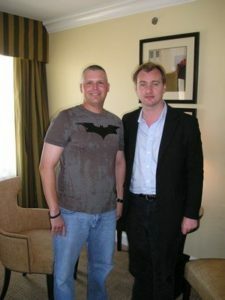 I had the huge honor of meeting and visiting with director Christopher Nolan one-on-one for about a half hour in a room at the Beverly Wilshire Hotel. 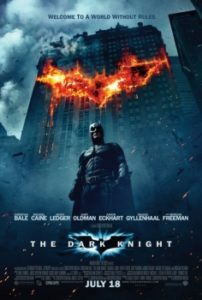 CN: What did you think [about THE DARK KNIGHT]? JETT: It blew me away, really. THAT was a great film. You know, I have to tell you that I was so glad that I knew very little about it — even as much as I knew by running the website, you know? CN: Yeah absolutely. I’ve always thought it’s better to view a film not knowing anything about it going in. It definitely diminishes one’s viewing pleasure if they know everything about it before they see it. 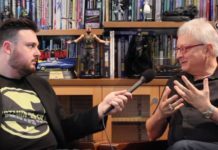 JETT: It seems to me that you’ve been very, very successful putting your own stamp on the character, but staying tremendously loyal to the Batman mythos. 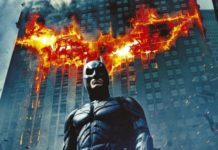 CN: Well with BATMAN BEGINS, the reason that I wanted David Goyer [Goyer wrote the screenplay for BATMAN BEGINS – Jett] on the project was because of his vast knowledge of the Batman — the comics and his history. We decided to look at this “evolutionary history” of Batman — this 65, 70 year history of the character and all of the great artists and writers who have worked on Batman. And of course over those years, there are very varied interpretations of the character. So I think you take a look at all that and sort of focus on what has sustained, what has stayed constant and has become “iconic” to the character. Now you can look at it as either a burden or an advantage and I certainly look at it as an advantage — having all these different interpretations of Batman to help shape our version of Batman. CN: Yeah. Yes he was. JETT: The Joker in the film seemed to be very much The Joker from BATMAN #1 [This comic book from 1940 marked the first two appearances of The Joker – Jett] where he just “Is,” you know what I mean? But, there is a lot of the “Contemporary Joker” in him as well. Is that something that you actively tried to work in or just happened? CN: Yeah. It really just happened like that. I really cant speak to Jonah’s [Jonah Nolan is Chris’ brother and the screenwriter of TDK – Jett] thought process on that. But David Goyer and I came up with the story and then handed it over to Jonah for a first draft. We really didn’t reference any of the specific comic book stories as David and I were putting the story together. We just trusted our memories of all the Joker stories that we had read before. We very much tried to create our story based on that. 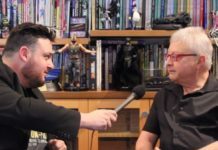 Then Jonah called me up as he was writing [the screenplay] and said, “Have you looked at the first two Joker stories lately?” And I told him that I had when I was preparing for BATMAN BEGINS years back. And he said that I should really take a look at them again because there was a lot of our Joker that related to those first two stories. So I read them and it was very surprising actually. The Joker in those first two stories is seen in his complete form. He’s an absolute and fully formed and there’s no origin story if you will. JETT: Exactly. 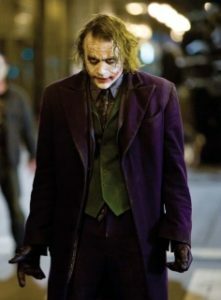 I’m sure you know for the first 11 years of The Joker there was no “origin story” and no explanation for why he looks and acts the way he does. Now some Batman fans will say — or have an issue with the fact that he’s not “permawhite.” You know, the white skin and green hair being permanent. I certainly understand and respect that POV. But I say that I don’t know if he is or isn’t — even though it’s clear that he does wear makeup. CN: Yeah. I felt very strongly that when you take these extraordinary characters — in the movies, I’m talking very much about the movies here. But you take these extraordinary characters and the more you find out about them — where they came from and all — the less interesting they become. And that’s very true to me of say Hannibal Lecter or Darth Vader. You know when we first saw them onscreen, they were fully formed and an absolute. Unlike Batman — who I wanted very much to explore his origin and where he came from — with heroes it’s just different. But with villains, it’s the opposite. So with The Joker, I wanted present him as an absolute, an agent of chaos and anarchy. JETT: The “magic trick” is something else! CN: (laughs) Yeah. That was something that Johan put in the script early on and I just trusted him on that one because I really didn’t know how that one was going to work in a PG-13 film (laughs)! But we found a way to do it and [it came off] beautifully. JETT: …and he wants to see this film bad (laughs)! CN: Seven’s probably a bit young for this one. But it’s a PG-13 film and (shrugs) I think most 12 year olds can probably handle it. With my kids, who are younger, I’ll shown them bits and pieces — like the chase scene from BATMAN BEGINS or the Batpod stuff from this one. That’s the great thing about DVD is that you can pick and choose (laughs)! JETT: When I saw BATMAN BEGINS, I was like “Hell YEAH!” and high-fiving her [I point to my wife – Jett] or my buddies whom I made see it with me. But with THE DARK KNIGHT, I was like speechless at the end and I just sat there in awe — emotionally spent. And it was sort of somber, you know? So were you going for that — these two very different types of endings? CN: Definitely. Definitely with BATMAN BEGINS we wanted to end it with a feeling of excitement — that the story kind of continues on in your head. With THE DARK KNIGHT, I knew how I wanted it to end before we even wrote the story. We wanted the ending to be emotional and large and huge and a sense of gravitas. 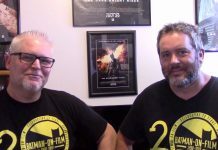 We felt [the way it ends] is what Batman is all about. We wanted the ending just sum it all up. 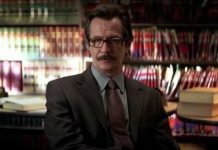 JETT: We know — all of us — that Batman is infinite. The story is never ending. Even in your Batman universe, I would venture to guess that the story — that Batman himself — is never ending. JETT: The Batpod. The cape is real in those scenes right? Did you ever worry about it getting caught in those wheels? CN: (laughs) Yeah, it’s real. If you noticed in the Hong Kong skyscraper scene, Batman wears this sort of a backpack. I had our costume designer, Lindy Hemming, design that very early on where we could fold the cape up sort of origami-style and it could expand because the cape was a concern with the Batpod. But I always wanted it if possible to have the cape flow with the Batpod because it’s very important to the imagery. But then they started doing the tests with it and they came to me and said that it actually works. So sure enough it did — although the cape is a little shorter than the one Batman usually wears. But once the rider gets going just a few miles an hour, the wind picks up the cape. It did attach to the rider with these breakaway clips just in case. JETT: Are you more of a fan now of the character than you were before you made BEGINS? CN: It’s different really. You know, I’ve spent so much time thinking about him [Batman] and dealing with him. Yeah, good question…I’ve always been very interested in the character and admired him. He’s a great character which you obviously know. I guess it’s that I feel much more closer to him now. Next articleINTERVIEW: Emma Thomas- A BOF TDK Exclusive!